Build the Dunes, Protect our Homes! After the horrible affects of Hurricane Sandy, among other storms that strike the shores, we must remember the important part that sand dunes play in protecting our coastal ecosystems and homes. by protecting inland areas from coastal water intrusion. They are able to absorb the impact and protect inland areas from high energy storms and act as a resilient barrier to the destructive forces of wind and waves. This Saturday, 3/28, the town of Bradley Beach we be starting to replant Dune Grass to help in building back up our dunes. 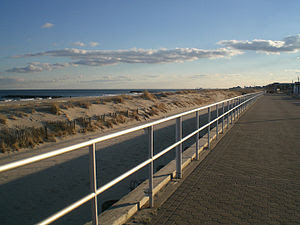 We will be meeting 10am-12pm on Brinley Ave Beach. 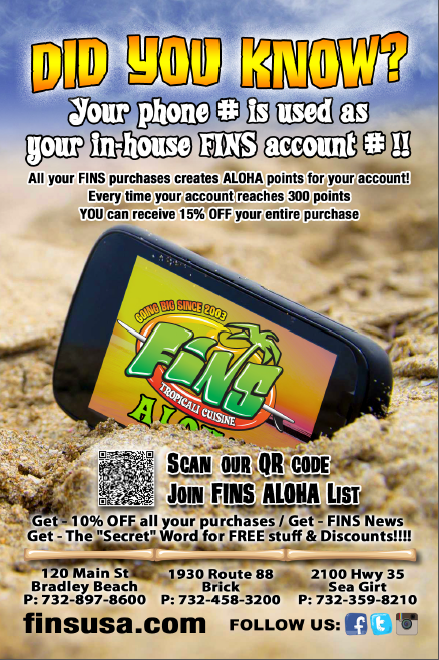 We hope to see many of our FINS community out there!! Thank you John P. for the awesome feed back!!! Get $1 off NEW Strawberry Shortcake Smoothie!